Boy: hi, you looked prettier? Girl: some people say im beautiful. Boy: ya. Beautiful, brilliant and kind, i know that. So, how's that lucky guy. Boy: don't you want to make a relationship with someone? 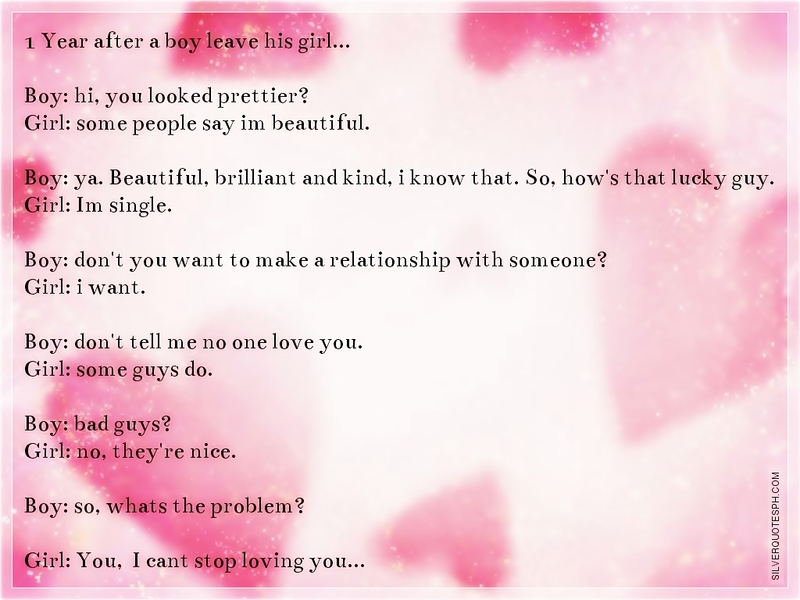 Boy: don't tell me no one love you. Boy: so, whats the problem?